To get the job done right, your truck needs a tough, undamaged windshield that you can count on. 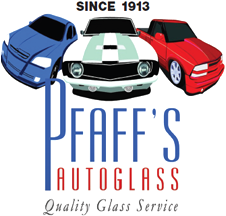 Pfaff's Auto Glass Inc provides truck windshield replacement in Winston-Salem, NC, for foreign and domestic trucks of all makes and models. When your truck's windshield is too chipped or cracked for repair, call our experts. For more than 100 years, our auto glass shop has helped North Carolina drivers stay safe on the road with our professional car and truck windshield replacement services. Over the decades, we have also gained valuable experience with SUV windshield replacement, van windshield replacement, and even glass services for motorhomes. No matter what you drive, our certified technicians get you back on the road with fast, convenient replacement services. If your vehicle needs a new windshield, it is likely too unsafe to risk driving around town. To keep you safe, our company is fully mobilized. Make an appointment with our mobile team for truck, SUV, or van windshield replacement at your location. We arrive on-site with everything needed to quickly and correctly complete the installation. Protect your family with SUV windshield replacement by a professional team. All of our technicians are highly experienced and take care to install the new glass properly. We only use high-quality panes and installation techniques that match factory standards. Whether you drive a massive cargo van or a relatively small minivan, our glass experts have got you covered. 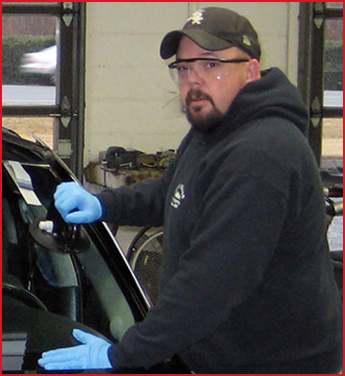 We tackle jobs of any size, even large van windshield replacement projects. No auto glass pane is too large for us to manage efficient installation. Truck, SUV, and van windshield replacement services are also available for commercial vehicles. Whether you just have a couple company trucks or an entire fleet, we are happy to go to work for you. Our glass technicians have the training and experience necessary to not only meet your business's need, but exceed them. Navigating the complexities of insurance claims on your own can be frustrating. Our company has experience filing claims for truck, SUV, and van windshield replacement work with a wide array of coverage providers. With help from our team, you increase your chances of have your replacement appropriately covered by your insurance firm. Most companies offer full or partial coverage; we ensure you get your due. Contact our auto glass technicians to request truck, SUV, or van windshield replacement for your vehicle. We proudly serve Winston-Salem, Greensboro, Oak Ridge, Summerfield, Mebane, and Burlington, North Carolina, as well as the surrounding areas.